Sopa de Azteca, or Aztec Soup, is a very easy and tasty version of tortilla soup. A simple tomato-based soup is topped with tortillas, avocado and a sprinkling of cheese. All there is to it. The key is to have a well seasoned, tomatoey base for flavor. Lots and lots of flavor. The rest is pretty straightforward. Nice, crispy tortilla chips (homemade or high-quality store-bought are best) add a good bite, the cool, creamy avocado lends this great flavor and brightness to the soup and of course the cotija cheese does what cotija cheese does best-gives the soup a tangy pop of flavor. Yum yum. 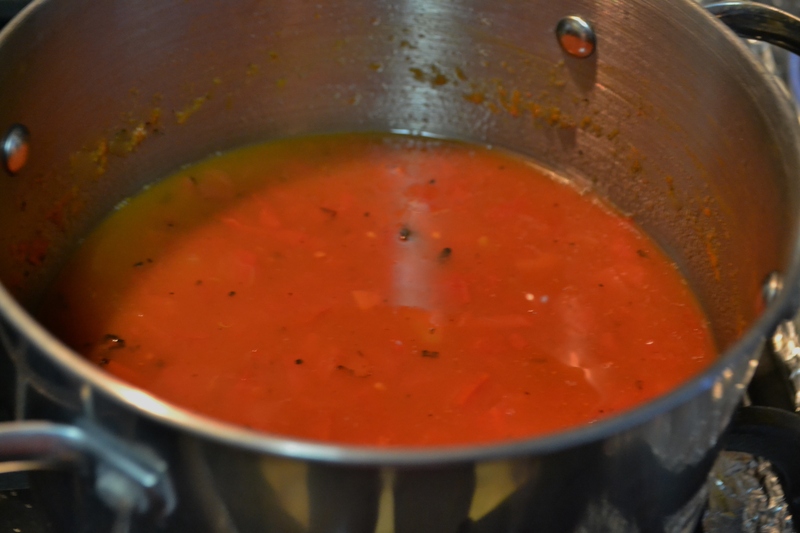 Pour vegetable broth, tomatoes, green chilies and serrano pepper into a medium saucepan. Heat on medium heat until simmering. Add cumin, garlic powder, salt and sugar, if using. Stir and continue simmering for 10-15 minutes for flavors to combine. Traditionally the soup gets blended but I like to keep it chunky. If blending, blend until smooth then return to stove to keep warm. 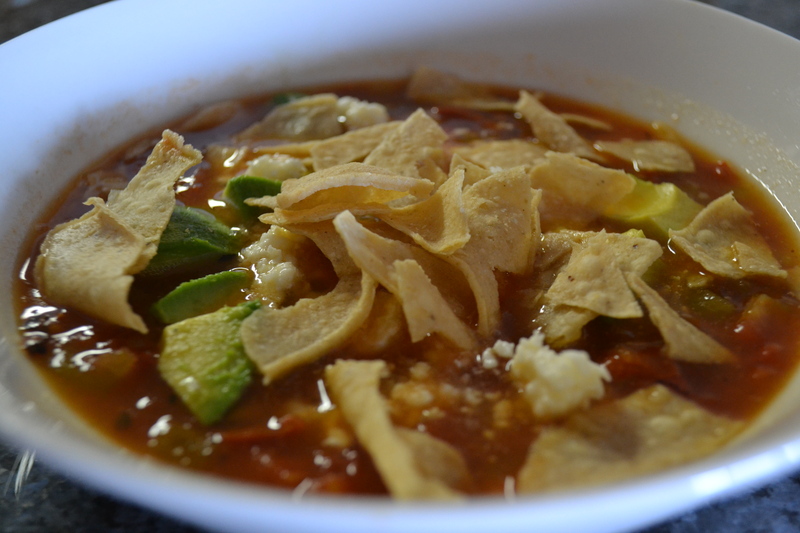 To serve, ladle soup into bowl, top with a generous amount of tortilla chips, avocado chunks and cotija cheese. Serve immediately before tortilla chips turn soft and mushy. In Mexico I can’t find those diced green chiles without escabeche (sob). What would you recommend? Do you have access to Anaheim chiles or poblanos? You can char them, then dice them up. The end result will be slightly spicer. You can also look into ordering canned chiles online. Hope you enjoy! Hey there! I love your recipes so I’ve nominated you for a Liebster Award! Check out my latest blog post for the details.